It might come as a surprise to some, but I have a bit of a love for New York City (alright, there's no suprise - I'm pretty vocal about this one). But time and time again I hear that forlorn complaint coming from the lips of travellers - "oh, but it's so expensive". So just to prove that you don't need a wad of cash to enjoy the wonders of the Big Apple I've compiled the perfect day spent in the city that never sleeps, where you won't have to spend a dime (well I mean, you will probably have to find something to eat, unless dumpster diving is your thing). This is less of an itinerary, and more of a pick and choose fun mix of activities which you can use to make up your own perfect (free!) day. No-one needs to remind you that this is free, but I'm surprised at how many travellers I know overlook just how much there is to see and do in the park. Pick up a map from the visitor's centre and try your best to tick off all of the sculptures (or just get completely lost like I did) or head down to the Bethesda Fountain and see if you're lucky enough to hear some choral wonders from singers within the cloisters. Within walking distance of one another, these historical gems require no entry fee, and will keep you occupied for hours. Take in one of the exhibitions at the library or try to re-create the scene from Madagascar in Grand Central Station much to the surprise of onlookers (I don't actually recommend this second one...). Find the entrance to the High Line off 34th Street - near Penn Station - and take it all the way down to Chelsea. On this converted railway line you'll be able to not only see the Manhattan streets from an entirely different angle, but you'll also be lucky enough to take in several amazing works of public art. ​Want to see the Statue of Liberty without spending a dime? (Or spending hours in line...) The free Staten Island Ferry leaves from the east end of Battery Park, and not only offers views of the lady herself, but a spectacular view of the Manhattan skyline. Don't want to spend a fortune on the MET and MOMA? Lucky for you the slew of galleries between 10th and 11th Street (see westchelseaarts.com) are not only free, but you may even stumble upon some free wine and cheese. 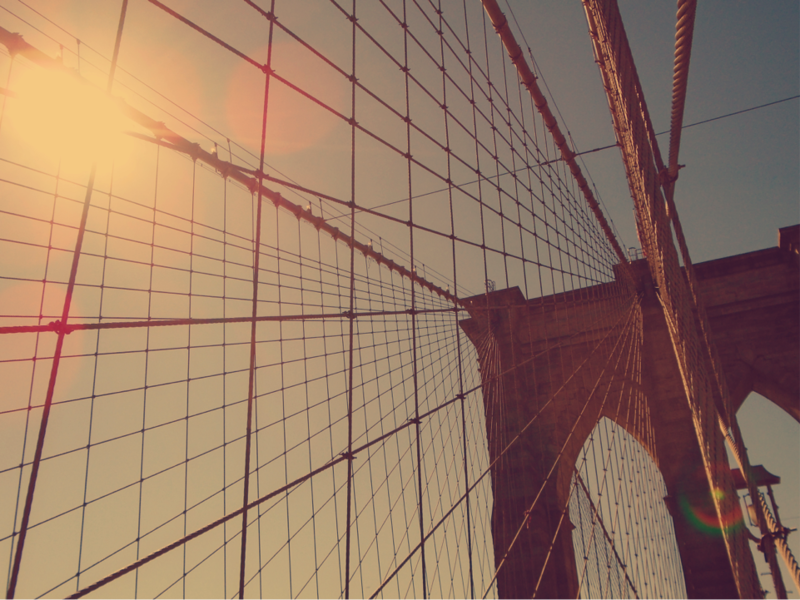 Walking over the Brooklyn Bridge may seem like a rather banal past time, but it's a must. You'll not only get to see Manhattan from an entirely different viewpoint, but it's the best way to make it over to Brooklyn without spending a dime. The biggest mistake some visitors to NYC make is to not explore anything outside of Manhattan. And while it's true that many of the bigger 'must see' attractions are congregated within Manhattan, there are a host of things (many free!) to do in the outer boroughs. Even just strolling along the streets of Queens or Brooklyn make for a nice, quiet afternoon. Even if you can't afford to fork out for a Broadway ticket, just spending the night taking in the atmosphere of this famous square is enough to entertain anyone. Added bonus: gobble down free chocolates from both Hershey's World and M&M's World. If you're without the cash to buy even a TKTS discount ticket, cancellations can be your best friend. You will generally stand a better chance if you're travelling solo, but I have heard of couples being lucky enough to nab a cancelation. You'll have to be patient, and make sure to have a back up plan for the evening if you can't nab a ticket, but you never know - I saw Newsies for $0 (third row back!) because at 2 minutes to curtain up someone hadn't claimed their ticket! How to see Broadway shows on a budget. Hoards of people pouncing on cheap tickets at the Times Square TKTS booth. Seeing a Broadway show is a quintessential New York experience, but in an already expense-blowing city the price of a ticket can sometimes send one into tears. Luckily by setting yourself a game plan, and taking heed of some of the following tips, you can score yourself a seat in the theatre without blowing the bank. 1. TKTS discount ticket booths. It's hard to miss these large red ticket booths: situated in the heart of Times Square (under the red steps), on the South Seaport and in downtown Brooklyn. TKTS offers same day tickets for up to 50% off regular prices. Lines can get quite long so plan to head along early (see their website for opening times), and you have to be somewhat flexible in terms of what shows you're willing to see. It's also good to remember that the Times Square booth also offers a 'play only' ticket window which is much shorter than the others. Helpful hint: Booth #1 at Times Square is a '7 day fast pass' window. This means if you have purchased a TKTS ticket within the previous week you can skip the lines by jumping in this lane (you need to present your ticket stub). This also means that if you're planning on seeing both a play and a musical in the same week, hit up the play first and then the next day you can grab a ticket for the musical without standing in hour+ long queues. Most shows offer a ticket lottery for each night, meaning that you can enter (only one entry per person) and possibly win up to two extra-cheap (usually fantastic) seats for a show. These are typically drawn not long before each show, and it's best to have a mobile number as a form of contact. Each show has slightly different arrangements in terms of their lottery (if they have one) so check out the show's official website for details. Many shows have a student rush policy, meaning that a number of student-discounted tickets are released at a certain time on the day of a performance. Again each show differs so it's a matter of checking their website for details. If you don't mind waiting around in the foyer of a show, no-show's to as sold out show are actually a pretty fantastic way of scoring a seat. Make yourself known to front of house sales staff, and they'll typically ask you to wait to the side (if there are a few people waiting for tickets you might be asked to stand in a line; hence why it's good to arrive early). If seats are left when the show goes in you may be either offered a cheap price for the ticket, or even enter for free (I've seen two shows for exactly $0!). 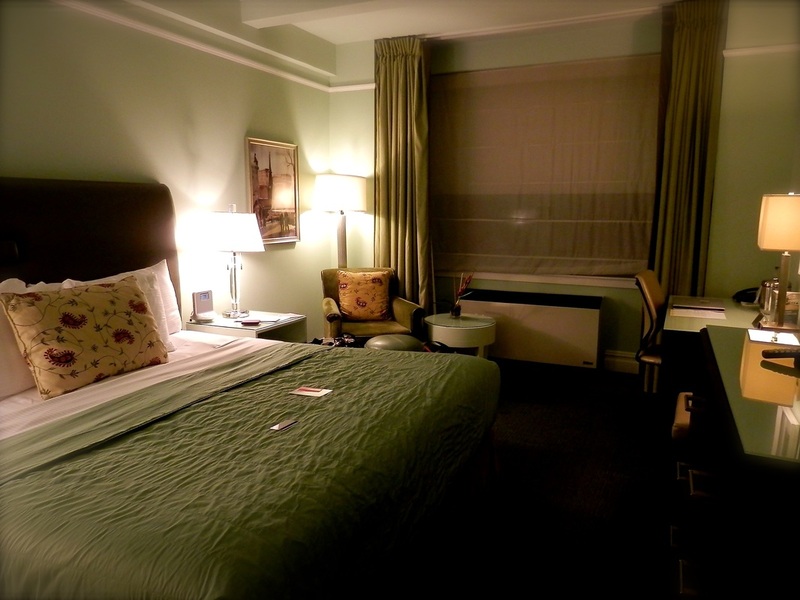 Hotel Review: Hotel Beacon, New York City. Location: The Hotel Beacon is beautifully situated only a short stroll away from Central Park, which is especially convenient if, like me, you’re one for early morning walks at the most peaceful time of day. The 72st metro station (serving lines 1,2 & 3) is also only a quick stroll away, which means, although not in the centre of the tourist hub of Times Square, for the small price of a metro ticket you can be there in almost no time. Main attractions near to the hotel also include the Museum of Natural History, the Lincoln Centre, and the adjoining Beacon Theatre. In my opinion the area was also quite safe, and even as a young female, had no hesitations traversing the streets no matter the time of day or night. 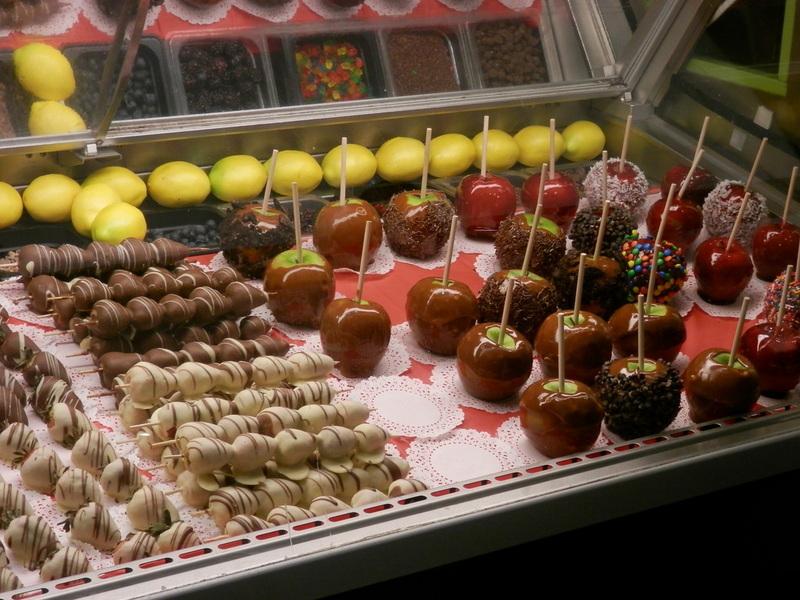 There is also a conveniently located diner less than five steps away from the hotel lobby. 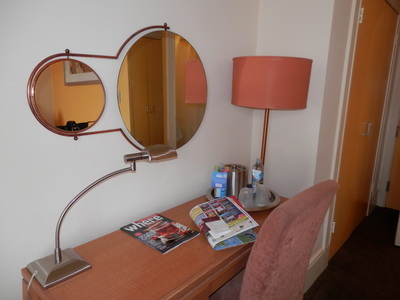 Room: I actually stayed here on two separate occasions within the span of only a few weeks: both times booking a standard double room, which were always impeccably clean and tidy (serviced daily). 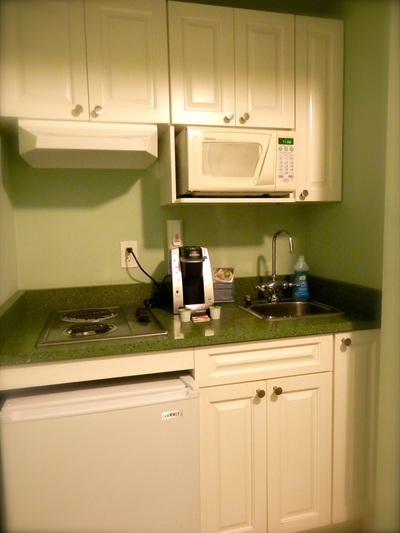 The rooms also come equipped with a small stovetop, microwave and fridge (as well as a limited amount of cutlery); while we never cooked during our stay the fridge and microwave did come in handy for storing and re-heating leftovers. Staff: The desk staff were always more than helpful, and are all ready to help you with any aspect of planning your trip; whether it be organising transport, giving directions or finding the best New York cheesecake in town. Price: Not the cheapest hotel in New York, but it was reasonably priced for the quality of the stay (remember, beds in New York are never going to be too kind on your wallet!). A quick look on Trivago currently shows deals of around $300AU a night (as of 12 Mar. 15). Double bed, seating, desk and storage. 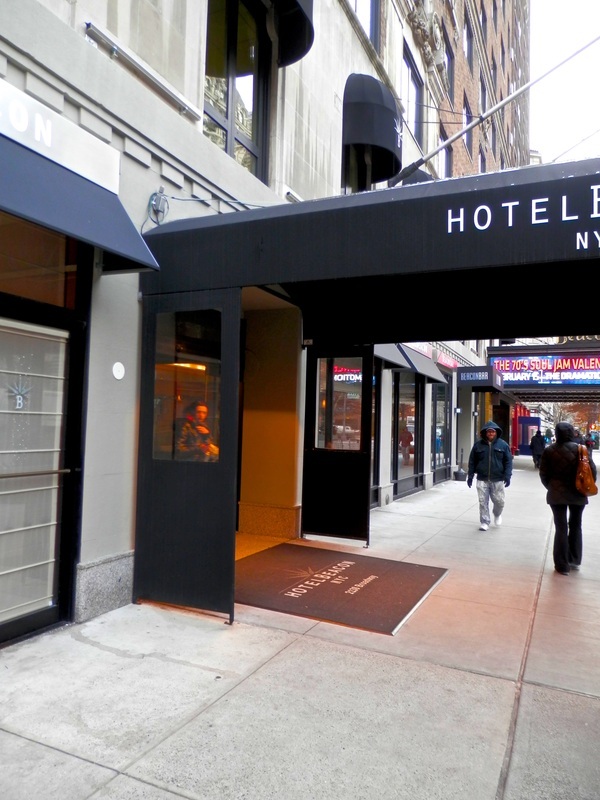 Conveniently located, the Hotel Beacon is situated at 2130 Broadway at 75th. 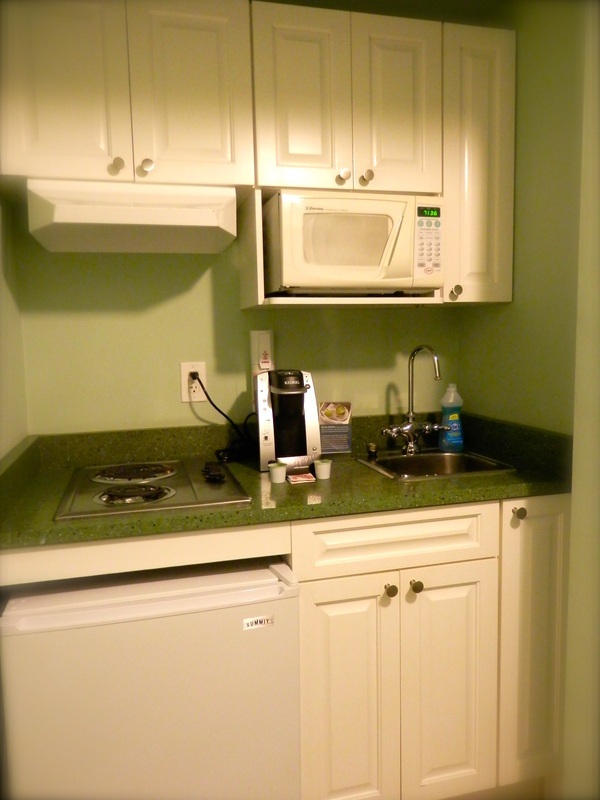 Decent facilities including stove top, microwave, sink and fridge. 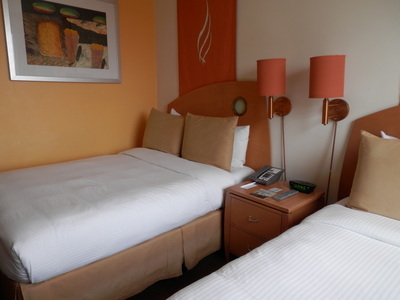 Hotel Review: The Hotel Metropolis, San Francisco. Location: Unbeknownst to us when we booked the hotel (this was our first time away, let’s just say we were novices at pre-booking research) the Hotel Metropolis boarders San Francisco’s Tenderloin district. This is one of the unsafer areas of the city, and a wrong turn from the lobby doors would take you straight into the heart of the district. During the day the area was mostly fine, however my travel partner and I were always a little hesitant when returning to the hotel after sunset. Room: The twin room we booked was on the smaller side, but had a very unique feel about it; bright yellow adorned the place, and it appeared to have traditional fixtures from its days as an apartment building. Unfortunately our window didn’t close properly (which left us to battle the freezing November air) and the shower wasn’t the greatest. The lift up to the rooms was also a little disconcerting in terms of the strange sounds it produced. Staff: The desk staff were, on the whole, quite helpful. However, and it may have just been the staff which we happened to deal with, there was at times a language barrier which was unexpected for English speakers visiting an English speaking country. Price: The services and facilities of the hotel itself were in keeping with the relatively cheap price we paid. However, considering the location, I would next time opt to splash out a little more for the peace of mind of a better location. From what I could see whilst walking the halls, each floor has a different colour scheme. Quirky decor which really gives the hotel a personality. 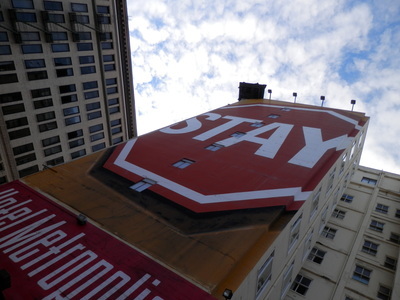 It's hard to miss your hotel when it has a giant stop sign painted on the side. Zakim Bridge, or Bunker Hill Bridge, tower detail, viewed from the Charlestown Bridge. Of all the surprises that I was met with during my time abroad in the United States, none was so great as my love of the city of Boston. I’m not going to lie, when first arriving there fresh from the wonders of New York I had little (okay, no) idea of what to expect of the place. It was my friend’s ‘must-go’ city, this was one of the places where I was merely along for the ride, and after spending such an incredible week in the Big Apple, I was convinced I could never again fall in love with a city so fast. Although not as high on the typical tourist bucket list of the USA as many other cities and attractions, Boston is full of history and beauty, and is, I think, one of the most accessible cities for tourists. Depending on your time constraints, I would say the optimal length of stay would be around four days, however, if you’ve only got one to spare, it’s easy to hit up some of the most important places and experience some of the best of what Boston has to offer. We’re going to be starting in Charlestown, the oldest town in Boston, and situated across the Charles River. After enjoying a breakfast, it’s time to start on the Boston Freedom Trail. This is the go-to guide if you only have a limited time in the city, as it will take you past all of the historical monuments and must-see sights. A free map is available for download online (included below), or, if you’re like me and prefer the hardcopy, a guide book can be picked up for around $8USD at many of the tourist shops around town. If you’re really game you can just follow the red painted trail on the footpaths of the walk, however as I’m going to be taking you on a few detours, the map is your best bet for finding your way back. However, instead of walking the trail up towards Charlestown, the best way is to start in Charlestown, and work your way back towards the commons. The guide book and website both provide great historical detail about each site. 9:00am: You’ll be starting your day at the Bunker Hill Monument, which marks the site of the first major battle of the Revolutionary War. Here you can take time to visit the museum, which opens daily from 9-5 (or 6 during the summer months) or simply enjoy the area. 10:30am: From Bunker Hill, you’ll make your way towards Downton Boston (skipping the USS Constitution stop, however you can add this in if it tickles your fancy) in order to visit Copp’s Hill Burying Ground and the Old North Church. On the way you’ll cross the Charlestown Bridge, which serves as a great viewpoint for photographers keen on capturing shots of the iconic Zakim Bridge. From there, I recommend you make a slight detour and venture along Commercial St in order to see some of the many warfs. Once at the burying ground and church, take your time to explore the many old tombstones, or wander through the oldest standing church in Boston. 2:30pm: From here we’re going to take a bit of a detour, following along Court Street and then onto Cambridge Street to make our way to Otis House (direction included below), which is the last surviving mansion in Bowdoin Square. Tours run every half hour, with entry at $10USD. This visit to the family home of Harrison Gray Otis, a prominent figure and once mayor of Boston, is a nice change of pace from the types of monuments and buildings visited along the trail. 4:00pm: Follow Hancock St and then Joy St until you reach Beacon St, where you will turn right and continue on until you reach Cheers Beacon Hill for an afternoon drink stop. Once the Bull and Finch Pub, this establishment is known for its use as the exterior establishing shots for the hit sitcom Cheers. 5:00pm: Cross Beacon St and enter the wonderful Boston Commons. Boston’s answer to Central Park, there is so much to see: including the public gardens and, in winter, the Frog Pond ice-skating rink. You’ve now got free time to relax and take in the splendid gardens. 8:00pm: After dinner at your place of choice, I recommend catching on of the great shows on offer. The Boston Ballet is a particular recommendation, as not only will you be in for a wonderful show, but you’ll also get to experience the grandeur of the Boston Opera House.